I am delighted to host for the first time here at The Fourth Musketeer the monthly Carnival of Children's Literature, which brings together blog posts about children's books from across the kidlitosphere. 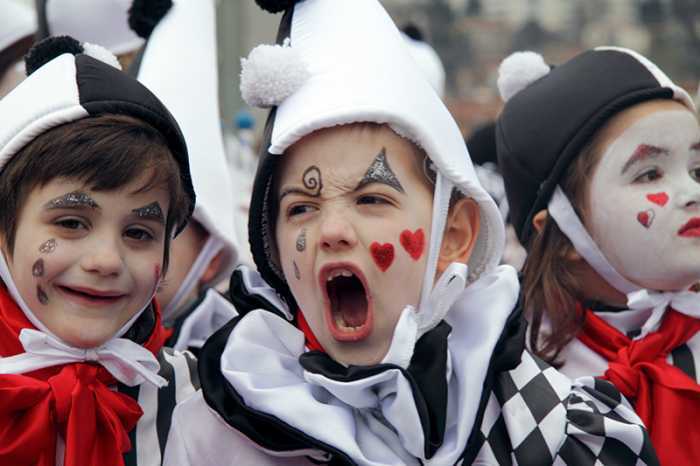 February is not only the month of love and Valentine's day, it's also the month of Carnival and Mardi Gras, celebrated all over the world with wild celebrations, parades, masks, and general merriment and revelry before the fasting, prayers, and penitence of Lent. To commemorate the Carnival season, I hope you will enjoy these wonderful photos of children from around the world which decorate this month's Carnival of Children's Literature. 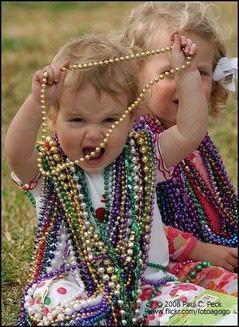 Laissez le bon temps rouler, as they say in Cajun country! Jen Robinson shares the mid-February edition of her Children's Literacy and Reading News round-up, a joint project with Carol Rasco and Terry Doherty. Maeve at Yellow Brick Reads launches a new project, Favourite Books from Childhood, in which she asks guest bloggers to talk about their early reading memories and their favorite books they demanded at bedtime. In the inaugural post, she reminisces about her love for Paddington Bear. Wendie at Wendie's Wanderings shares Scholastic's recently announced 100 Greatest Books for Children. Jeanette at SpeakWell, ReadWell writes about language, literacy, and literature in her post about Super Snail. She's a speech therapist and incorporates literature into her work with her students. Good Books for Young Souls reviews Summer of the Monkeys, "an engrossing read for long winter nights. And who can resist a story about a boy and his dog, a grandpa, and some renegade monkeys!" Jeff at NC Teacher Stuff reviews Anna McQuinn's newest picture book, Lola Reads to Leo. 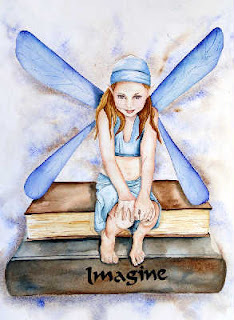 Pat at Read, Write, and Report shares a guest review by 11-year old Niki of My Very Un-Fairy Tale Life by Anna Staniszweski. Mary Ann is sharing her thoughtful post on setting and the magic of a place, published as a guest post on the Nerdy Book Blog. Kim of Dead Houseplants shares a post about the Submarine Outlaw series, a Canadian series that's great for boys and reluctant readers. Valarie of Jump Into a Book writes about celebrating Mardi Gras and Cornelia Funke's The Thief Lord, with lots of fun Carnival links including how to make a carnival mask. Deborah of Cavitt's Book Reviews shares a book about saving and giving, Three Cups by Tony Townsley. Michelle at Connect-a-Blog posts about Robert Munsch's classic Love You Forever, saying "You'll find a video of the author, Robert Munsch, singing the tune to the love you forever song in the book." The Cath in the Hat has a review of Duck, Death and the Tulip. She comments that it's a picture book "that deals with death like no other I've read." Polly of The Little Wooden Horse offers an "ever-so-slightly gushy rave review" of Dave Shelton's perfectly formed A Boy and a Bear in a Boat. In this Leap month, Kerry at Picture Books and Pirouettes highlights the picture book Leap Back Home to Me by Lauren Thompson and Matthew Cordell. 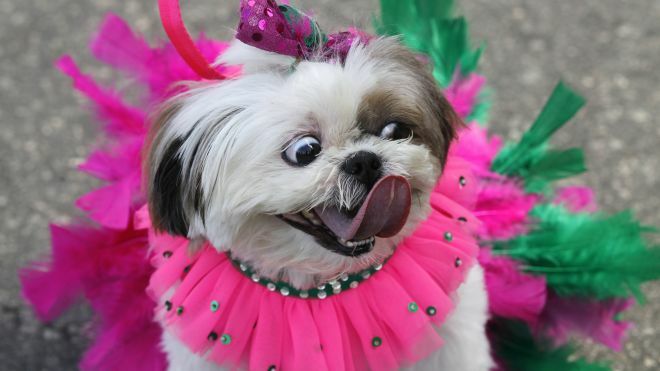 Dogs join in the fun in Brazil's carnival-and is there something delicious on the end of his nose? Myra at Gathering Books rounds up a list of novels in verse and poetry books for children. Jen at Jean Little Library shares seven different books on recycling. A terrific post if you're looking to update your collection in this very popular subject area. Susan at The Book Chook has a review of You Can Draw Anything by Australian illustrator Kim Gable. 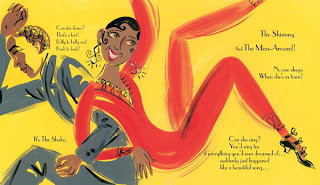 Kate at Book Aunt reviews a number of titles for Black History Month, including two new picture books, Freedom's A'Calling Me by Ntozake Shange and When Grandmama Sings, by Margaree King Mitchell. Shirley at Simply Science shares a write-up of Step by Step Experiments with Plants. Heidi at Geo Librarian shares two new picks for President's Day about Thomas Jefferson and John Adams: Those Rebels, John and Tom, by Barbara Kerley, and Worst of Friends: Thomas Jefferson, John Adams, and the True Story of an American Feud, by Suzanne Tripp Jumain. These books are a great way to meet two of our Founding Fathers. Roberta of Wrapped in Foil reviews a new middle grade nonfiction book about an unusual disaster, The Great Molasses Flood: Boston, 1919, by Deborah Kops. Lori Calabrese has a review of one of Kidlitosphere's own, Laura Purdie Salas' new book, A Leaf Can Be... Lori says, "kids will never look at a leaf the same way again!" Trudy at Boys and Literacy reviews We've Got a Job: The 1963 Birmingham Children's March by Cynthia Levinson. 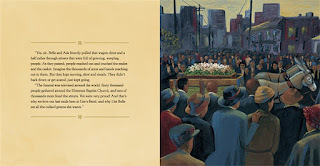 She remarks, "I thought this was a beautiful book on the 1963 Birmingham Children's March. Lisa at Shelf-Employed has a provocative post, "What we say without words," in which she examines the impact of different covers of a children's nonfiction book on Iran. Good Reads with Ronna celebrates Black History Month by sharing Debbie Glade's interview with illustrator Eric Velasquez: "People, Jazz, and Life, the Inspirations of Illustrator Eric Velasquez." 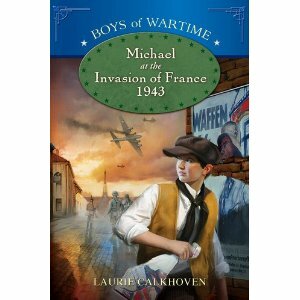 At The Fourth Musketeer, I interviewed author Laurie Calkhoven, author of The Boys of Wartime series, about her newest book, Michael at the Invasion of France, 1943. 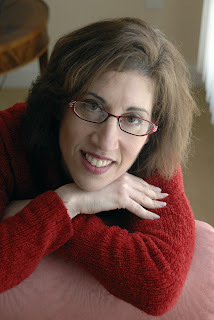 Carmela of Teaching Authors has a guest interview with Barb Rosenstock, author of The Camping Trip that Changed America, illustrated by Caldecott winner Mordecai Gerstein. Zoe at Playing by the Book invites you to participate in the upcoming inaugural International Edible Book Festival, an opportunity to create an edible book inspired by children's literature. Photos must be submitted by March 16, and there are prizes available! Paul at Babysitting Jobs posts a useful list of 10 bedtime stories parents love to read with their kids. Holly at LitLad shares a post on the Louis Armstrong biography Play, Louis, Play! and her new boys' book club, the Pop Bag Book Club. Glen shares tips on how to create fiction middle grade readers will enjoy at his blog Glen C. Strathy. Aaron at Children's Books and Reviews presents a free e-book on how to choose children's books. Katrina of Moms Kids Books offers a series of blog posts on what to look for in a great book for kids. Eric at Happy Birthday Author shares his birthday celebration post for author Jim Aylesworth, reading his book The Full Belly Bowl and then making papier mache full belly bowls for his grandparent's 65th wedding anniversary. Carol talks about book jackets, including a new book devoted to the topic, at Rasco from RIF. Lisa from Adventures in Writing and Publishing invites you to read her post to find out what makes a good critique group. 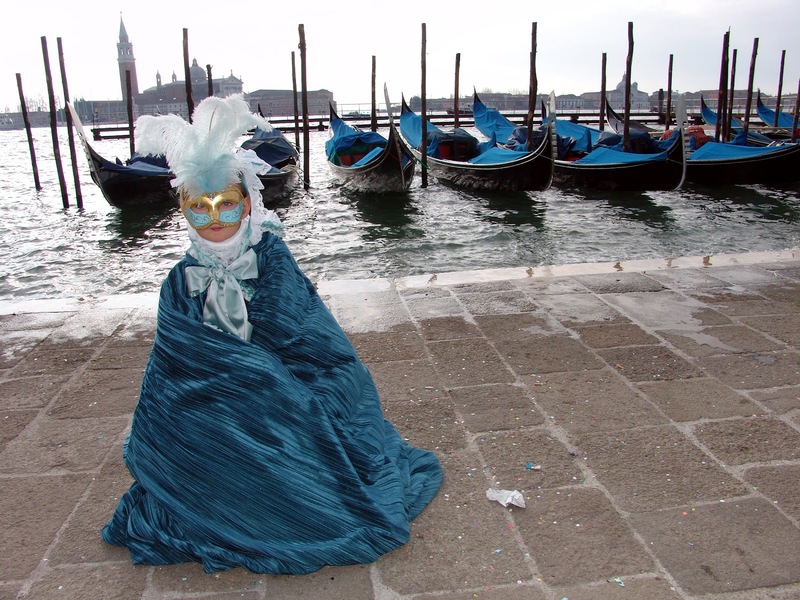 Myra of Gathering Books has a round-up of February activities. Thanks for joining me for this month's carnival! In March, look for the Carnival of Children's Literature at Just Children's Books! Another excellent choice for Black History Month, this historical fiction novel for middle-grade readers, takes a little known race riot and coup d'etat that occurred in Wilmington, North Carolina, in 1898 as the inspiration for creating a compelling story of eleven-year old Moses and the destruction of the middle-class African-American community in which he lived. It's just one generation after the end of slavery--Moses' own grandmother, Boo Nanny, was born a slave, but in the years since Emancipation, Moses' family has risen into the middle class. His father is college-educated, works for the local black newspaper, and is also a town alderman. When the editor of the black newspaper writes an editorial in which he suggests that it's no worse for a black man to be intimate with a white woman than for a white man to be intimate with a black woman, "big trouble's a-brewing" in Wilmington. Will Moses and his family escape the ensuing violence that erupts? Creating a compelling voice for young Moses, author Barbara Wright has created a moving and shocking story about the Jim Crow South that received well deserved star reviews from Kirkus, Publisher's Weekly, School Library Journal, and Horn Book. You can read an excerpt at her website. Her website also offers resources for teachers, including a teacher's guide from Random House. This book is a must-have for school and pubic libraries! 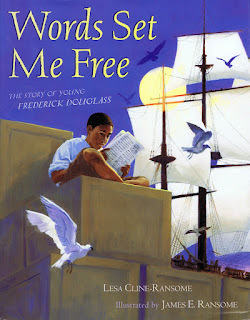 Just in time for Black History Month is a handsome new picture book biography of iconic abolitionist, orator and author Frederick Douglass, written and illustrated by the husband-wife team of author Lesa Cline-Ransome and illustrator James E. Ransome. "He should know nothing but to obey his master--to do as he is told to do," he shouted..."If you teach him how to read, there will be no keeping him. It would forever unfit him to be a slave." But once given a taste of learning, Frederick was not to be stopped, and he found every opportunity to practice his letters in secret, even buying a newspaper with coins he saved from tips from running errands for his master. But when his master died, Frederick was sent back to the plantation that was his birthplace, where he was sent to work in the fields with the other slaves. His thirst for learning, however, would not die, and he began teaching other slaves to read, despite the very real dangers. And soon he was plotting to escape, using his knowledge of words to set him free by forging passes to run to the North. This book ends somewhat abruptly with Douglass plotting his escape; an author's note tells the reader that the escape attempt was unsuccessful but Frederick succeeded three years later in escaping to New York, where he changed his name and became a famous abolitionist. The text is based on Douglass' s own Narrative of the Life of Frederick Douglass. Back matter includes a short bibliography, and a timeline of Douglass' life, which like the narrative, ends with his escape to New York in 1838. Frederick's story is riveting, and it leaves the reader wanting to find out more about Douglass' life. This book would make an excellent read-aloud for classrooms, but it is not a book that could be recommended for classroom reports, since it focuses on a narrow segment of Douglass' life. 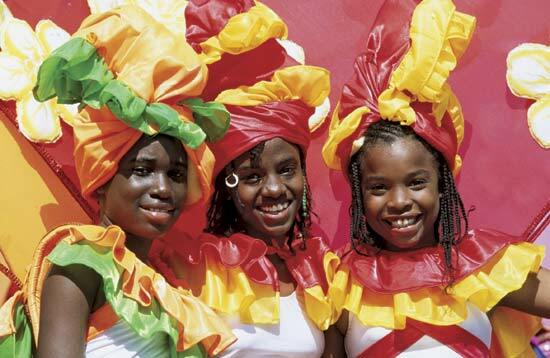 However, it could enrich a unit on African-American history, abolitionism, and slavery. I particularly enjoyed the traditional artwork rendered in acrylic and oil paint; the rich blues in particular are evocative of the Maryland shore where Douglass spent many years of his boyhood. The artwork has a monumental quality which fits the story of the great man Douglass was to become. Today is Washington's actual birthday, and the perfect time to take a look at a new picture book biography of our foremost founding father and first president. In this new release by former Oklahoma governor Frank Keating, George tells his own story, punctuated by excerpts from Washington's own "Rules of Civility and Decent Behaviour in Company and Conversation," written in his own hand when he was only fifteen. The text covers the well-known outlines of Washington's life in a simple yet compelling manner, demonstrating how he applied his "Rules of Civility" to all that he did: "They were my primer on life. I first learned them in school. I wrote them down. They became a part of me." With traditionally-styled oil paintings by artist Mike Wimmer, the stunning illustrations lend an epic gravitas to the narrative, as we see Washington as a baby, a young boy studying, a young man working as a surveyor, a soldier, a married man, and of course a general and a statesman. Back matter includes both an author's note and a note from the artist. Wimmer describes his intensive research in order to portray costumes and setting accurately in his paintings, especially his use of paintings from Washington's own time. End notes provide further explanations for the exact setting of each of the paintings. The author also includes a brief bibliography on Washington for further reading. There are so many children's books about Martin Luther King, and I would never have guessed from the appealing cover illustration on this title that this was a book that touched on civil rights and especially on Dr. King. 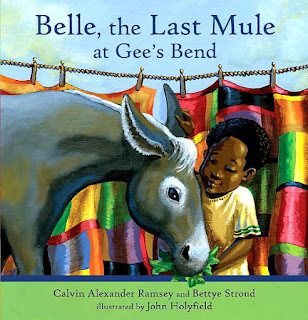 Belle, the Last Mule at Gee's Bend, is a delightful historical fiction picture book which tells the story of an ordinary mule named Belle who leads an extraordinary life in the small town of Gee's Bend, Alabama. At the beginning of this tale, we meet Alex, a bored young boy who is waiting for his mother to buy one of the famous quilts that Gee's Bend is known for. With nothing to do but watch an old mule, he's happy to listen to an old lady from the town tell him a story about why the mule, who's eating her greens, is so special. It turns out that Martin Luther King visited Gee's Bend to encourage its black citizens to vote. But when whites got wind of the voting drive, they shut down the ferry that crossed the river to Camden, where voting took place. That didn't stop the courageous citizens of Gee's Bend, who hooked up wagonloads full of people to mules, including Belle, to go around the river to vote. But that wasn't the end of Belle's special mission; she was also called upon as one of a team to pull Dr. King's coffin through the streets of Atlanta during his funeral parade. Alex learns an important lesson from this touching story: even an old mule can be a hero. 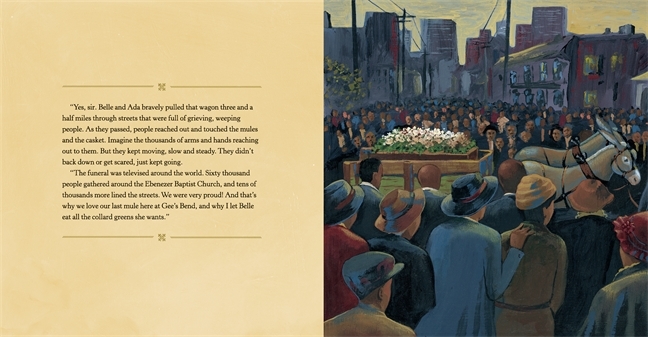 An author's note provides further details about Belle's story, particularly how Dr. King himself wanted mules to pull his casket when he died, with the mules serving as a powerful symbol of King's fight to help poor blacks across the country. 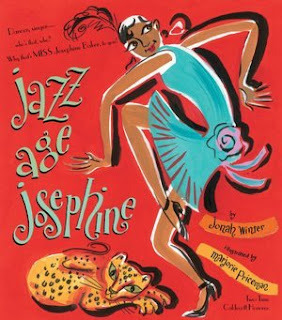 Although it's early in the year, this new picture book by Jonah Winter about African-American singer and dancer Josephine Baker is already one of my favorites! Josephine Baker was born in St. Louis in a poor family, living in a shack with rats and no heat and went on to become an iconic performer in Paris, one of the symbols of the Jazz Age. At an early age, she learned to be a clown, dancing and making silly faces for money. Her talents would provide her a ticket out of what Winter calls the "general misery of her childhood." When she gets to New York, she winds up in the chorus line, where she performs in blackface. Looking for better opportunities, she left for France, which became her adopted country and where she wasn't "scorned for the color of your skin." "Josephine, oh Josephine, you know you're in the big time now. every night you take your bow." And we can't forget the incredibly exuberant illustrations, done in gouache and ink, by two-time Caldecott honoree Marjorie Priceman, illustrator of Zin! Zin! Zin! A Violin and others. You can see an extended excerpt of the artwork at Simon & Schuster's site. The vibrant colors, movement and energy of the artwork remind me of Matisse and other painters from Paris in the 1920's, and are a perfect fit for Winter's rhythmic text. While this picture book does not detail all the aspects of Baker's life, an author's note provides some further biographical details on her history. This is a great title for both Black History Month and Women's History Month as well. For more information on Josephine Baker, see her official website. HBO did a biopic on Baker, The Josephine Baker Story, which is available on DVD, in 2001. It stars Lynn Whitfield as Baker and Ruben Blades as her lover/manager. If you want to check out Baker's infamous banana dance (alluded to in this book only through the illustrations), you can see a video of it on YouTube! I'm so pleased to welcome to The Fourth Musketeer today Laurie Calkhoven, author of The Boys of Wartime series, among other books for young people. The third volume in this series, Michael at the Invasion of France, 1943, has just been published by Dial. Q: Please tell us what inspired you to write your series Boys of Wartime. 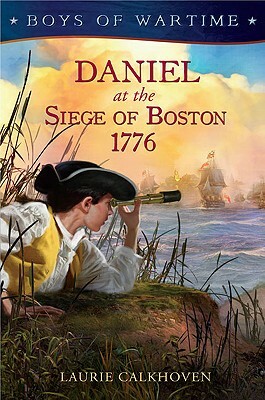 A: I got the idea for the first novel in the series, Daniel at the Siege of Boston, 1776, while I was researching a biography of George Washington. I wondered what life was like for the people stuck in the city for nearly a year, having to rely on shipments from England for food and other necessities. It was a tense, difficult time, and a lot happened in that year. It began with the Battles of Lexington and Concord and included the Battle of Bunker Hill. The Continental Congress began talking about declaring independence and put George Washington in command of the army. I started to do a little digging, and soon I had a character whispering in my ear. But that’s all I had—an idea and a character. I was busy writing other things and didn’t have time to get more than a few sentences down on paper. Then an editor at the Penguin Young Readers Group asked me what I was working on, and I mentioned my idea. He didn’t seem interested, but a few weeks later he called and asked me to put together a proposal for that book and more—stories about boys in wartime. I scrambled and came up with a few ideas, and I had a deal very quickly after that. Q: So far, the novels in the series have been set during the Revolutionary War, the Civil War, and World War II. Do you have other volumes in the series on the drawing board, and when will they be set? A: I’d love to write more Boys of Wartime novels. The original plan called for a World War I novel, but World War II was more compelling so I wrote that book first. Then I got busy with other books, including a just-published nonfiction book called I Grew Up to be President and contemporary novels for American Girl’s Innerstar University series. But now I’m on the lookout for a new story. Q: Can you tell us a little about your research process for these historical novels? A: My process has been a little different for each book. With Daniel, I knew what my focus would be from the outset, so then it was a matter of finding out everything I could about what lead up to the Siege of Boston and what day-to-day life was like during that year. I read general histories of the time period, of course, but I really focused on first-person accounts to give me a sense of how people spoke, what they ate, what they wore, and how spies of the day operated. 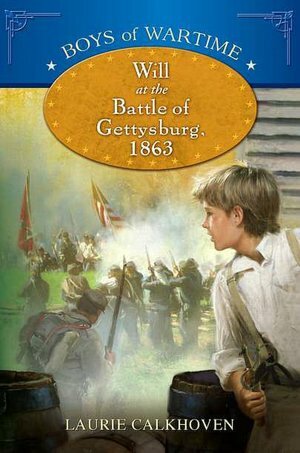 For the next two books in the series, Will at the Battle of Gettysburg, 1863 and Michael at the Invasion of France, 1943, I started reading very broadly about the time period, looking for an aspect of the war that intrigued me. I spend close to a year doing research before I even begin writing, so it has to be a subject I love—something I want to spend a lot of time with. The Battle of Gettysburg captured my attention because it was such a pivotal battle in the war, and again I found myself wondering what life was like for the people of the town. Control of Gettysburg changed hands four times very quickly. For a time, one home was the battle’s front lines. Confederate soldiers were on the back porch and Union soldiers were on the front. They shot at each other through the windows while the family crouched in the basement. Once I settled on that battle as the basis of my novel, I turned to primary sources again. 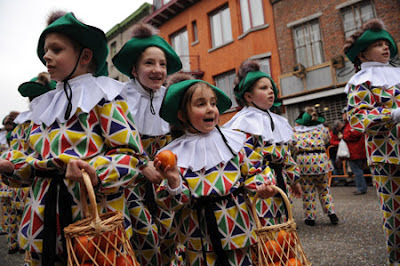 Luckily, many of the townspeople recorded their stories. I also visited Gettysburg more than once. A lot of the Civil War buildings are still standing. I was able to walk the streets, poke my fingers into bullet holes, and stand under the shade of trees that witnessed the battle. That was invaluable. 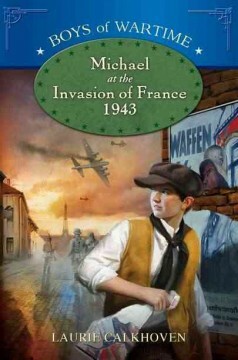 I knew that my World War II novel would be about a boy in the French Resistance. The French Resistance has always captured my imagination. Again, I started with very broad research. I hadn’t known about the secret networks that helped downed American and British airmen make their way across France and into Spain so that they could rejoin the war effort, and as soon as I read about those underground railroads, I knew that’s what my story would about. There are some great recent nonfiction books about the escape lines, but many of the airmen put their experiences down on paper, too. Once again, primary sources proved to be the most useful in getting the details right. Q: One of the aspects of Michael at the Invasion of France that I really enjoyed was that you focused on a little known aspect of the war: the Allied pilots who were shot down over France and how they were helped to freedom by resistance fighters. What made you want to tell this particular part of the story of World War II to young readers? A: What really struck me about this aspect of the war was how many young people were involved in the escape lines, not just in France, but in Belgium and Holland, too. Boys were able to move about much more freely than men. And young woman often pretended to be taking walks with their sweethearts when they were, in fact, guiding frightened young men to train stations or safe houses. Whole families got involved in feeding, clothing, and hiding airmen at great personal risk. Nazi punishment was swift and severe. Men were shot by a firing squad. Woman and children were sent to concentration camps. Most of these people never got any credit for the dangerous work they did. Their names are, for the most part, lost to history. Q: Laurie, you had a long career in children's publishing at Scholastic and Book-of-the-Month Club before moving to writing. You've published a wide variety of books, from The Boys of Wartime to American Girl quiz books to series nonfiction on American presidents to the new choose-your-own-ending American Girl series, Innerstar University. Is there a genre that's particularly close to your heart? A: Oh no, that’s like asking me to choose a favorite book! I love all kinds of writing. Writing nonfiction gives me a chance to poke around into areas that I’m interested in and learn new things. Fiction allows me to make stuff up—to create characters and throw all kinds of obstacles at them. Writing historical fiction gives me a chance to do both—research and make stuff up—so I guess I’d have to lean toward that as a favorite genre. Q: Can you share with us some of the titles that are current on your nightstand (or e-reader?)? And who are some children's authors whose books you particularly admire, especially in historical fiction? A: I have a towering pile of books on my nightstand. Ruta Speetys’s Between Shades of Gray, set in Soviet Russia in 1941 is up next. And I want to catch up on the all the Newbery and Printz award winners I haven’t read yet. There are so many novelists I admire. Kekla Magoon’s brave look at the Black Panthers and the Civil Rights movement, Rock and the River, is one of my favorites and I know there’s a sequel coming called Fire in the Streets. Avi’s City of Orphans was a recent favorite and I’m looking forward to reading Jefferson’s Sons by Kimberly Brubaker Bradley. I always look forward to a new Richard Peck historical novel. I grew up on the Little House books, so I think I can safely say that Laura Ingalls Wilder is responsible for my love of historical fiction. I loved them so much that I wanted to be a pioneer. I knew I was born too late to join a wagon train, but I thought I might help colonize a new planet! Maybe someday. Thanks for such interesting questions. Q: And thanks to you for taking the time to come to visit my blog! 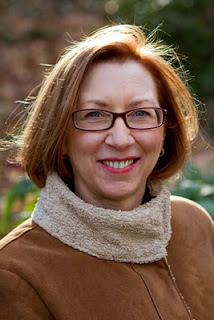 Check out my interview with author Laurie Calkhoven on February 16! Twelve-year old Michael, a half-American, half-French boy living in Paris, has to grow up quickly when the Nazis invade France in this fast-moving historical fiction novel about World War II. His brother's been captured and is in a German POW camp, and his father is in England, leaving Michael the man of the house for his mother and little sister. Despite having to deal with hunger and the intense cold, Michael is determined to fight the Nazis in whatever way possible, and soon is a member of the French resistance. Michael's assignment is dangerous but important--helping to guide Allied pilots to safe houses so that they can escape and continue to fly missions against Hitler. But when the Gestapo discovers their cell of resistance fighters, will Michael be able to get his American flier and his family to safety? This is the third in Calkhoven's excellent historical series Boys of Wartime (the first two novels were set during the Revolutionary War and the Civil War). Told in the first person, the suspenseful story grabs the reader from the start, and I found the novel difficult to put down. Michael is a well-rounded character, filled with doubts about his ability to live up to his father's expectations, yet brave and quick on his feet. The narrative is peppered with telling details of the difficulties of life for ordinary Frenchmen under the Germans, from having to sleep in the Metro station because it was marginally warmer underground to breeding rabbits in the bathtub to have additional food to eat and to trade on the black market. The author provides a prologue setting the scene for the story, providing easy-to-understand background on the beginnings of World War II and Hitler's Blitzkrieg. A historical note at the conclusion provides further information on resistance groups, the role of children in the French Resistance, a timeline of the war, a glossary of unfamiliar words, suggestions for further reading about World War II, and brief biographies of some of the historical figures who are mentioned in the novel, such as Charles de Gaulle and Marechal Petain. While there are many novels for young people about World War II, Calkhoven concentrates on a different angle--the rescue of American and allied airmen who were shot down in German-occupied airmen. This was a subject I had never read about, and it made a very appealing narrative for young readers, full of danger, suspense, villains and heroes. I would highly recommend this novel for collections for elementary school students and even for middle school. The book, while clearly aimed at boys, would appeal to young girls as well who are looking for a story with plenty of action and adventure. 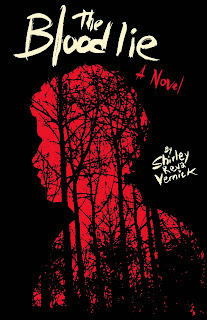 I am delighted to welcome today to the Fourth Musketeer writer Shirley Vernick, whose first novel, The Blood Lie, published by Cinco Puntos Press, was selected as a Sydney Taylor Honor Book for teens. Shirley has kindly agreed to participate in an interview today about her novel as part of the Sydney Taylor Award Blog Tour. Q: The Blood Lie is based on a little known real-life event from the history of your home town, Massena, New York. An innocent Jewish boy was accused of ritual murder when a Christian girl disappeared, bringing to America the infamous "blood lie," in which Jews are accused of murdering Christian children in order to use their blood to make ritual bread. Could you tell us a little bit about how you discovered this story and why you decided to use it as a basis for your first novel for young people? A: I was already in college when I first learned about it. I came home for fall break my sophomore year with an assignment for a sociology class. Students had to identify a local community conflict – past or present – and write a paper about it. I remember thinking, What am I going to do? No juicy controversies ever happen in my dinky little town of Massena, New York. So I asked my dad, who also grew up in Massena, if he had any ideas. That’s when he told me, for the first time, about the blood libel that happened in Massena when he was a high school senior. It was just before Yom Kippur, and a little Christian girl disappeared while playing in the woods near her house. The next thing you know, the local Jews – including my dad’s family – were being accused of kidnapping and murdering that little girl and baking her blood in their “holiday foods.” I couldn’t believe what I was hearing. In America? In the 20th century? It sounded more like a page out of Eastern Europe in the Middle Ages. I knew I wanted to write something more than a term paper the minute I learned about the Massena blood libel. I always wanted to be a writer, and this was something that not only spoke to me, but grabbed me by the throat and screamed at me. I felt compelled to illuminate this episode of Jewish-American history, as well as to inspire readers to contemplate the consequences of, and possible responses to, intolerance. Q: Jack, your hero, wants nothing more than to leave Massena to study music, even before the blood lie incident. From your own research, what do you think some of the pros and cons of Jewish life in a small town were like in that era (the 1920's)? A: Personally, I think the biggest pro was the kind of community solidarity you get when you're a small newcomers group sharing a deeply felt common heritage. However, along with that came the everyone-knows-your-business-and-has-some-advice-to-give lack of privacy. The pressure to assimilate was a hardship for many small-town Jews. For instance, imagine trying to be a merchant in a one-corporation village like Massena, where everyone gets paid on Friday and does their shopping on Saturday. How can you survive if you don't stay open on Saturdays? At the same time, assimilation was a pro for many of the younger ones, who deemed it synonymous with freedom and opportunity. Q: What kind of reception has your book had in Massena? Were there people in the town who resented your bringing to light an ugly incident that they might well have preferred remain hidden? A: I'm pleased – and relieved – to report that Massena has given the book a warm, open-minded reception. The current residents include fourth generation natives, relative newcomers, and everything in between. The people I've talked to say they didn't know about the Massena blood libel, but they did know about past and present currents of bigotry. I gave a talk at Massena's public library in December, and the audience demonstrated keen interest in the history of the story. The local high school's book club plans to read the book, as well. A couple of Massena residents did write on my Facebook page that they wished I'd made the book nonfiction. I explained that, since there is little or no clear documentation of the details of this blood libel, I had to go beyond the basic facts. So I did my best to adhere to the essence of the real event, and then I added details, including personalities and subplots. Q: You have done quite a bit of professional writing, with articles published in different women's magazines, national newspapers, and college publications. How did you find the process of writing and researching a novel for young people different than other writing you have done? A: As obvious as this sounds, I get to write more words with a book-length story. This makes a huge difference because it allows me to delve more fully into the story, the backstory and the side stories, which is much more satisfying for me as an author. Since the novel is based on true events, I still had to do a lot of primary and secondary research, so that wasn't all that different. Writing for young adults instead of, well, older adults, felt very natural. Apparently, my creative side has a young-adult voice. Q: Could you tell us about your future writing projects? Do you have other historical novels in the works? A: I have been incurably bitten by the novel-writing bug. Currently in the works are a young-adult historical novel set in Israel, a young-adult paranormal story with strong historical elements, and a middle-grade adventure book. 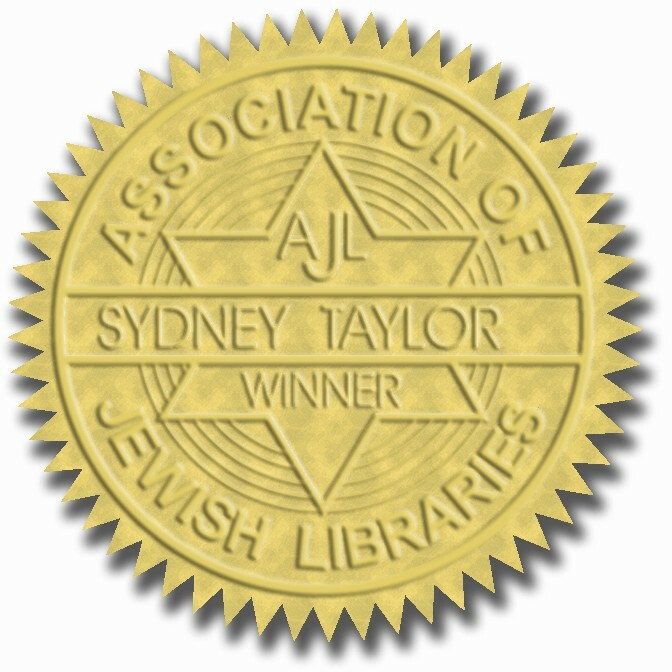 Shirley, mazel tov for receiving the Sydney Taylor Honor award for your very first novel! And don't forget to check out the other Sydney Taylor blog tour stop today at Frume Sarah's World. Sydney Taylor Award Blog Tour Begins! 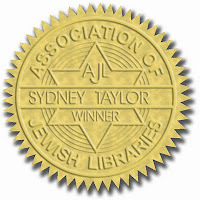 I am pleased to be taking part again in the Sydney Taylor Book Award Blog Tour, which begins today. 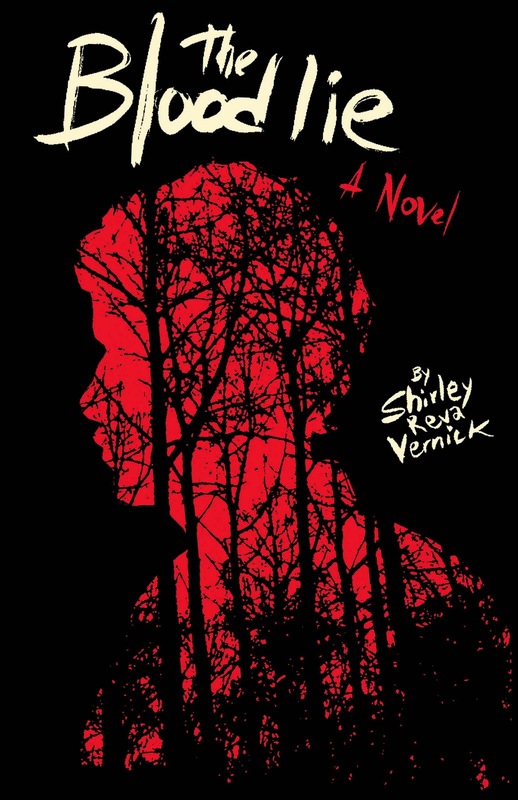 I have posted the full schedule below; my interview with Shirley Vernick, author of The Blood Lie, a Sydney Taylor Honor winner in the Teen category, will be posted on Thursday. Please check out the upcoming interviews with the winning authors and illustrators below! 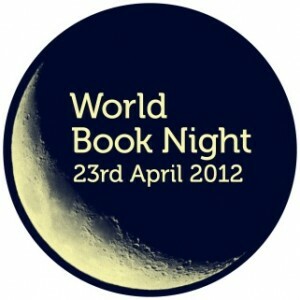 World Book Night! Be a Book Fairy and Give Away Books in your Community! There's still a couple days left to apply to distribute free books in your community on World Book Night on April 23! The deadline has been extended to Monday, Feb. 6 at midnight EST. I just received word that I was selected as one of the givers, although I don't know if I was selected to distribute The Hunger Games (my number #1 pick from their list of 30 best selling books)--apparently they were deluged with requests for this title! If you're not familiar with World Book Night, it's an annual celebration designed to spread a love of reading and books, held in the U.S. as well as the U.K. and Ireland. Thousands of free paperback books will be distributed through bookstores and libraries and each "giver" will receive a box of 20 paperback books to pass out to at a coffee shop, hospital, church or community center, shopping mall or school to strangers or people that you might know but who aren't frequent readers. There's still time to apply (the application form takes only a few minutes to complete!) so spread the word among your friends and family. This event is sponsored by the publishing community, which is donating the books, so jump on the bandwagon and be a book fairy for one night! 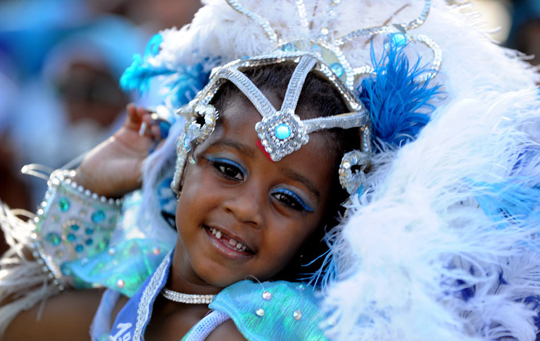 The U.S. Census Bureau, to commemorate Black History Month, has published a slew of interesting statistics about African-Americans in the U.S. This is part of the Census Bureau's Facts for Feature series. For the best in African-American literature for children, at least according to the American Library Association, you can't go wrong with perusing the Coretta Scott King awards. This year's winner, Kadir Nelson's Heart and Soul, is particularly appropriate for those looking for books for Black History Month, since it covers the entire history of America as seen through the experience of African-Americans. The paintings by Kadir Nelson are incredibly powerful, and the text offers a good overview of the African-American journey. 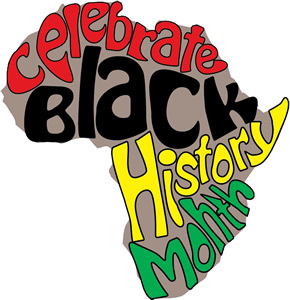 Also, Reading Rockets website has a terrific compilation of resources for Black History Month, including book lists, classroom activities, interviews with notable authors and illustrators, guides to Black history, television programs, and more. Check it out for lots of great ideas on how to celebrate! I also recently discovered another fabulous resource for Black History and American History in general, Kate Kelly's America Comes Alive! This month she is publishing a series of fascinating profiles of distinguished African Americans throughout U.S. history--you can subscribe to her posts through her website.